There is an electricity that runs through Eve J. Alfillé Gallery & Studio that can only be felt in the charming confines of one of Evanston’s most beloved family owned businesses. And during the holiday season, that electricity is like no other. Indeed, the love of family runs through this business like a heartbeat not only during the holidays, but all throughout the year. Joining in that heartbeat is a loyal customer base that has long-loved Alfillé and her skilled team of craftsman since the very moment they first opened their retail store in 1987. The French-born jewelry designer laughs at the sheer thought. 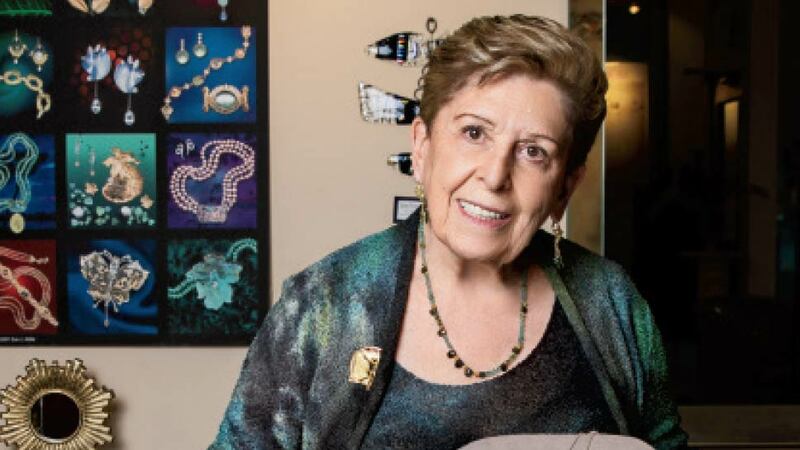 But make no mistake, Alfillé continues to love each and every day spent in her gallery filled with rare and exotic pieces, from pearls to gemstones to high karat metals and diamonds. She also continues to love creating timeless pieces. Her and her team of talented craftspeople actually reveal a new design series every six months for their discerning clientele, including the current series titled Sacred Geometries. Of course, the magic of Eve J. Alfillé Gallery & Studio truly takes flight when customers come in looking to create a unique piece from something they already love. Alfillé also loves working alongside her customers to discover a priceless piece. And when it comes to finding the perfect gift, there is nothing like a piece of custom jewelry. Eve J. Alfillé Gallery & Studio is located at 623 Grove Street in Evanston. For more information, call 847-869-7920, or visit evejewelry.com.